We are located 2 1/2 Hours NW of Minneapolis. Enjoy divided highway all the way to St. Columbo Rd! You will find us 9 miles north of Brainerd/Baxter on MN 371 and then west 1/2 mile on St. Columbo Rd. Welcome to Gull 4 Seasons Resort!! Pool Pools Pools! Your AFFORDABLE choice for family and fishing fun. Located on the shores of Gull Lake between Brainerd and Nisswa MN, we are the Minnesota family resort you have been looking for. Our variety of unit types work great for any family reunion or group get together. We have 2, 3, 5 Bedroom Vacation Cabins Rentals, 1 to 4 Bedroom Vacation Condos, and 1 and 2BR Chalets available for rental. All units have a complete kitchen and a patio or deck with gas grill. The Chalets, Condos, and 5BR Cabin have central air conditioning. Swimming is great here at our MN Lake Resort, with our Indoor pool, outdoor pool, kiddie pool, and whirlpool. We have a swimming beach as well! Gull Lake has great fishing for Walleye, Bass, Northern Pike and Sunfish. We will get you on the water with our rental boats, motors and pontoon. We offer boat lifts to keep your boat safe and secure! Let us be your Gull lake resort this year! 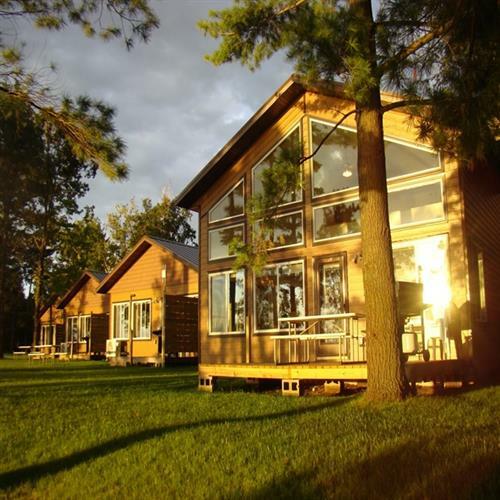 MN Lake Resort Specials! Enjoy our Game Room with Pool Table, Foosball, Pacman, Asteroids, Pole Position, Pinball games and more! Visit our web site at www.Gull4Seasons.com and take a virtual tour; you will see why we are the best vacation value in Minnesota! Group and Family Reunion Discounts available. We will see you at the lake! Indoor, Outdoor, Kiddie, Pools, Whirlpool, Sauna. Swimming Beach. Offering specials including Family Reunion and Group Discounts.